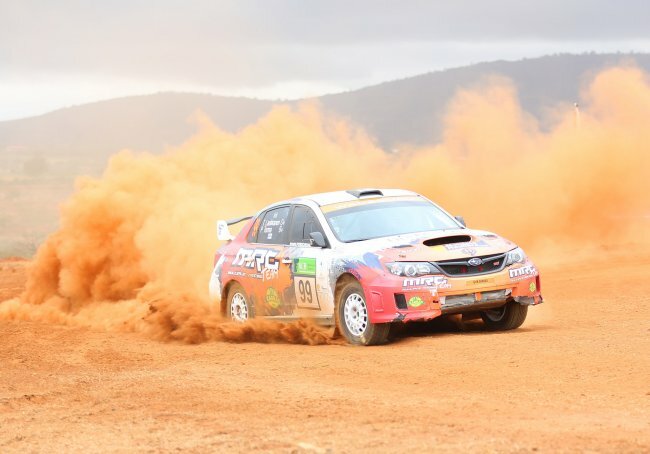 Tapio Laukkanen navigated by Gavin Laurence in a Subaru GVB machine claimed his maiden victory on the 65th ARC Safari Rally, but only just. The Flying Finn eclipsed six-times former Kenyan champion Duncan by 22 seconds to lay his hands on the coveted title that has eluded him over the past three editions. Forget about his technical gremlins over the past few years, Laukkanen was all smiles upon collecting his trophy at Afraha Stadium in Nakuru which hosted the ceremonial finish. In the 2015 Safari, Laukkanen led the pack by a massive five minutes and was well on course for his maiden win, but victory slipped through his grasps due to a technical error on the remote service. ''I am more than excited and pleased to have won the rally after three attempts. It is a great feeling. The last two stages proved vital though they were rough and dusty. I had to recover from the 53-second deficit to achieve the incredible,'' said Luakkanen. It was a bitter pill for Duncan to swallow as the title has eluded him since 1994. Second overall for Duncan wasn't that bad considering that he had scored highly on the Kenya National Rally Championship. Duncan last won the Safari in 1994 when the event counted towards the World Rally Championship. Carl "Flash" Tundo navigated by Tim Jessop in a Mitsubishi Evolution 10 wrapped up the podium dash despite rolling on Gicheha farm stage. Sadly form Safari, no foreign driver scored points in the FIA African Rally Championship as the new rule which took effect this year compels drivers to finish in the top 10. By finishing third, Tundo was the official FIA ARC winner in Safari and thus the new leader on the continental series that will traverse South Africa, Zambia. Uganda, Tanzania and the famous Mountain Gorilla Rally of Rwanda. The top placed foreigner was Burundian Valery Bukera who came in 11th. Sixth overall in the ARC was Jaspreet Chatthe who had his Safari hat-trick stymied by an excruciating 10 minute penalty on leg one. Chatthe settled for second position in the ARC category with Manvir Baryan who also suffered a similar fate taking 9/overall and third in Africa. Zambian Muna Singh Junior settled for the 13th position navigated by compatriot Zunaid Khan. Geoff Bell of South Africa driving a Datsun 240Z won the classic category in 14th overall position. Bell was testing his car ahead of November's EA Safari Classic Rally. Out of the 45 cars which started the Safari, only 30 managed to make it to the finish.